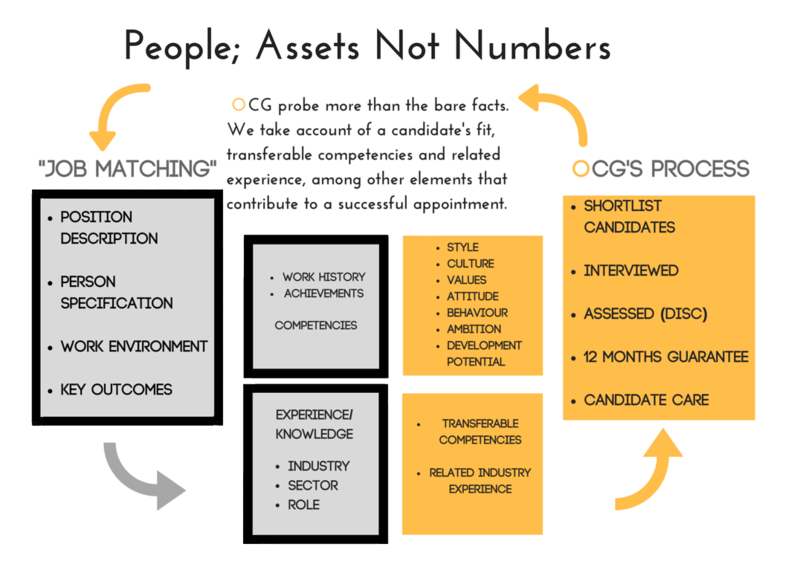 The OCG difference is how we understand candidate’s experiences and attributes and view each person as a potential asset, not just a number. We have a deep understanding and appreciation of competencies, attributes, process knowledge and how these are more readily transferrable than is often thought. Often “a fresh set of eyes” leads to a more successful hiring than industry knowledge. The general in-house/internal recruiter or “agency recruiter” expedites the recruitment process by job matching candidates with position descriptions, the work environment and key outcomes. OCG know there’s more to successful recruitment outcomes than these rudimentary steps – we go above and beyond. Culture and values alignment are key but so are candidate’s aspirations and abilities. In short, we know the hiring decision is mutual and therefore work to understand the outcomes both the candidate and client are seeking to achieve. The OCG Trusted Advisor/Business Partner approach has proven to be highly regarded since 1990 and is underwritten by 12 months candidate care program and replacement guarantee. OCG facilitates growth for Business and People.